You can send important SMS using Smart and TNT SOS load service even if you have zero load or balance on your prepaid account. No need for you to rush going to your nearest load retailer just to reload your mobile number during an emergency. 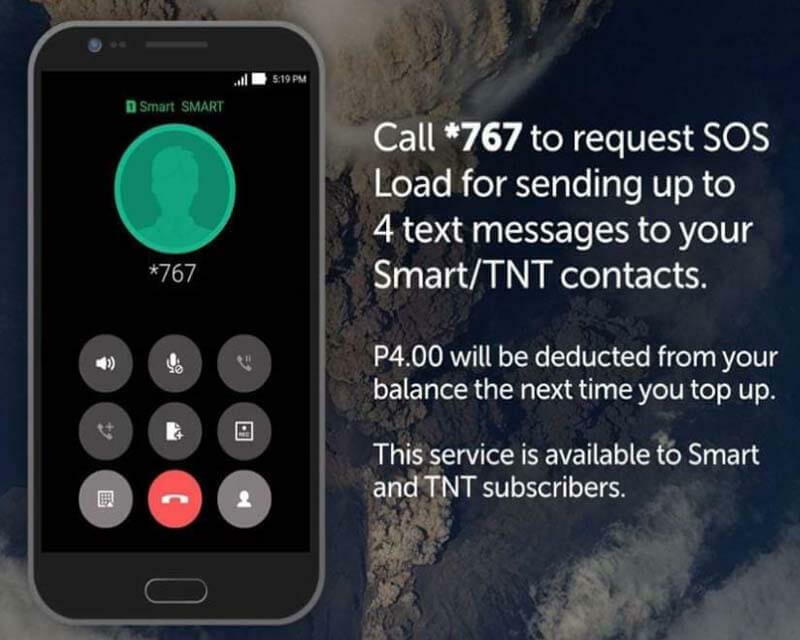 With this service, you can loan or borrow load (4 SMS texts) that you can use to contact your love ones and friends on your Smart/TNT phone book. This serves as emergency load to all subscribers nationwide that we can use during calamity and other situations where we desperately need to send text messages without regular load credits. In short, it is also called Utang. Mechanics to avail Smart Communications and Talk N Text SOS load promo is quick and easy. Just dial the USSD code format provided for your reference. Call or dial *767 to request up to 4 text messages. Note: P4.00 will be deducted from your balance the next time you reload or top up your Smart prepaid account. You can also dial *5623# to avail app exclusive SOS load like FB5 for Facebook access, COC5 for Clash of Clans, WAZE5 for WAZE app and UBER5 for Uber app data usage.